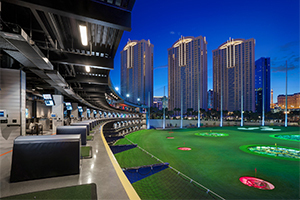 Located just behind the MGM Grand Hotel and opening in May 2016, Topgolf Las Vegas is the company's flagship location. While Topgolf does feature an outdoor driving range for golfers of all ages and abilities, it also makes socalizing a sport! The venue is 105,000 square feet and can host up to 3,000 guests. Topgolf Las Vegas is a four-level entertainment complex with interactive golf games, an intimate concert venue, two pools, multiple cabanas, two luxury suites, event areas, a TCL Esports Lounge, a Callaway Fitting Studio, a retail shop and much more. Part of a national chain, this complex also serves delicious food in a casual setting. Additionally, the five on-site bars feature hundreds of alcoholic drinks ranging from vodka and rum to wine and beer. Click to book your Topgolf admission ticket. Topgolf Las Vegas, which sits on 8 acres of land, offers several challenging games that are designed for players of various levels. If you're a team player, join the Top Scramble challenge. TopChip tests your accuracy and precision as you try to hit color-marked targets. Quick9 is ideal for beginners looking for a quick round. Experienced golfers will love TopDrive, which requires power and precision from long distances. Some other games that are available at the venue include TopPressure, TopShot and TopScore. Individual and group lessons are offered at this contemporary sports facility. A single session normally lasts an hour, and some drinks or snacks are included. Children under the age of 12 qualify for entrance into the KidZone. At this section, youngsters could master their swings and strokes under the supervision of professional instructors. Birthday parties and other youth-friendly events could be held at the KidZone. Topgolf Las Vegas serves food EVERYWHERE in the venue! They offer a large selection of gourmet treats for golfers and their companions. Some starters include sweet crisp shrimp, nacho stack and jumbo pretzel board. Large groups are encouraged to share the signature Topgolf Wings and Grilled Backyard Wings. You could dip the wings into Asian Habanero, Asian Sesame, BBQ or Buffalo sauce. Flatbreads and the Sticks to Share are also popular appetizers for groups. The Memphis Burger and Sunrise Burger surely provide plenty of energy for golfing enthusiasts. Sliders and pitas are available for those who prefer a light meal before taking some swings on the course. Click to book your Topgolf admission ticket. The bar at the attraction offers several signature drinks that are part of the Earlybird specials. Mimosa, Tito's Top Bloody and Absolut Screwdriver will refresh you after a round of golf. From Budweiser and Bud Light to Blue Moon and Dos Equis, the bar has a wide selection of domestic and imported beer in cans or bottles. If you're brave enough to try new cocktails, check out the Golfbags+Originals selection. Some of the drinks on this special menu include Orange Dream, Mojito on Tap and Patron Paloma. The bar at this golfing complex also offers dozens of wine options, including red, white and sparkling varieties. More than 50 spirits are served at the bar, including rum, gin, vodka and whiskey. If you want true VIP treatment, request the bottle service during your golf practice or social gathering. House tequila, champagne and vodka bottles will add some excitement to your party. Topgolf Las Vegas operates daily 9 a.m. to 2 a.m. Admission to the venue is free plus guests can take advantage of several lounge areas along with games that include corn hole, shuffleboard and more. Topgolf Las Vegas is located just off Koval Lane and East Harmon Avenue in the heart of the Las Vegas Strip. This golfing center is hidden behind the tall towers of the Signature at MGM Grand Hotel. Guests staying at this five-star property can enjoy a quick walk to the miniature outdoor course. Dozens of outdoor parking spaces are also available for visitors who arrive by car. The 119 bus of the Regional Transportation Commission stops near the golf complex throughout the day. This local bus route mostly runs along Koval Lane, which is lined with commercial plazas and some residential properties. 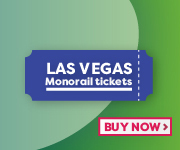 The Las Vegas Monorail MGM Grand Station is located within walking distance of the golf center. Click here to visit Topgolf Las Vegas official website.